January 9, 2018: Today started out gloomy cold and rainy as I drove to the Sacramento International Airport for a 7:30 am flight to attend the 2018 CES in Las Vegas. This normally short flight turned into a half day of boredom and sitting. Though I have to say the first leg to Salt Lake City, Utah was nice because I was able to stretch out my 6’6″ frame in an exit row with no seat in front of me. Regrettably, my connecting flight on Southwest was delayed due to weather in Las Vegas. In fact, I had 9 e-mail notifications from the airline, each with a new departure time. Needless to say, my arrival in Las Vegas a little after 2pm left me already drained. I met with photographer Jeff Dunston outside baggage claim, and having missed half of the first day we headed to the Sands Convention Center. I usually only stop by the Sands to see the Product Innovation Awards winners the last day of the show, but since we only had a few hours, we decided to switch things up. This year, the Sands Convention area was named “Eureka Park at Tech West”. Needless to say, it was full of medical innovations, wearable tech, Virtual Reality, and lots and lots of software; lots of interesting products, much of which had otherwise little or no interest for me. But amongst it all just before closing for the night, we did find one diamond in the rough, AXIIM Designs. 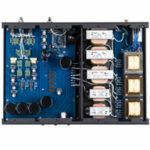 They have designed and build an wireless Atmos capable AV system called the AXIIM Q. This system happened to win one of the CES 2018 innovation Awards. The system includes the Q UHD Wireless Media Center (retail priced $999) and the 5.1 WM Wireless Pro Speaker Bundle. 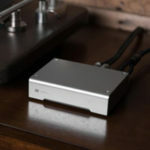 The system is the first that allows you to eliminate speaker wires entirely between the receiver and the speakers using a WiSA compliant wireless audio connection. The WiSA protocol is compatible with multiple other manufacturers wireless speaker systems, so you don’t have to use theirs. It does allow you to set up the system in under 20 minutest that gives you a 7.1 uncompressed 24bit/96kHz surround sound. Using the Axiim Q intuitive on screen speaker setup is supposed to be a easy experience. They told me that now installing speakers is as easy as finding the nearest outlet. Needless to say, wireless does not mean no wires, as all the speakers still need to be plugged into the wall for power. 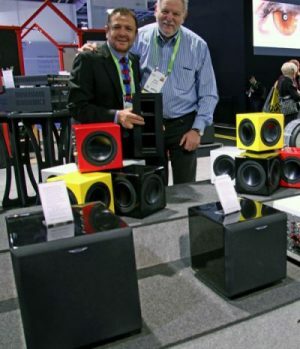 I didn’t get the opportunity to hear their 7.1 WM series wireless speaker bundle, but it looked interesting and I would like the opportunity to evaluate the entire system. 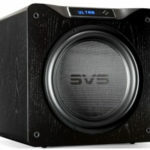 Their 7.1 WM speaker system shown retails for $3999 complete. So the entire system is just under $5k. The start of day two we headed for the Convention Center South Hall. How the show has changed over the years. The South Hall used to be filled with virtually all the major audio manufacturers. On display you would have the opportunity to visit large displays from companies like Yamaha, Denon, Sony, Pioneer, Technics, Teac, Kenwood and more alongside their speaker counterparts like JBL, Infinity, Klipsch and so on. 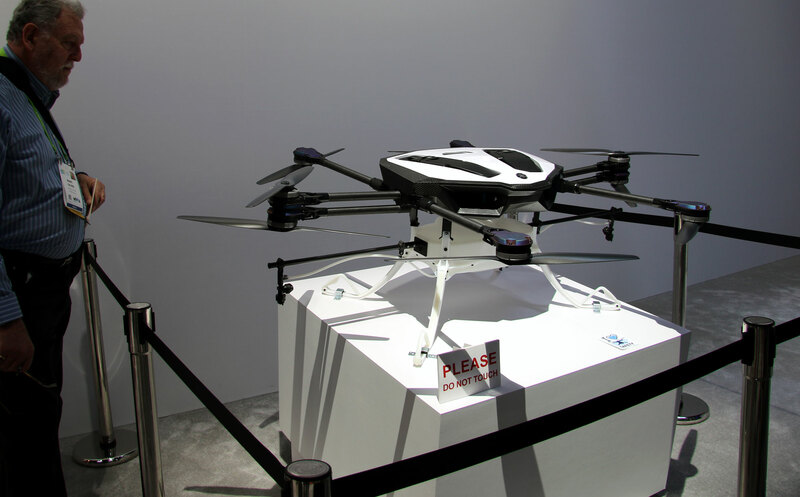 Today, the South Hall was packed with Drones, Virtual Reality products, Power banks and 3D printers. I will admit some of the drones were totally cool, but very far removed from the HiFi world I know and love. 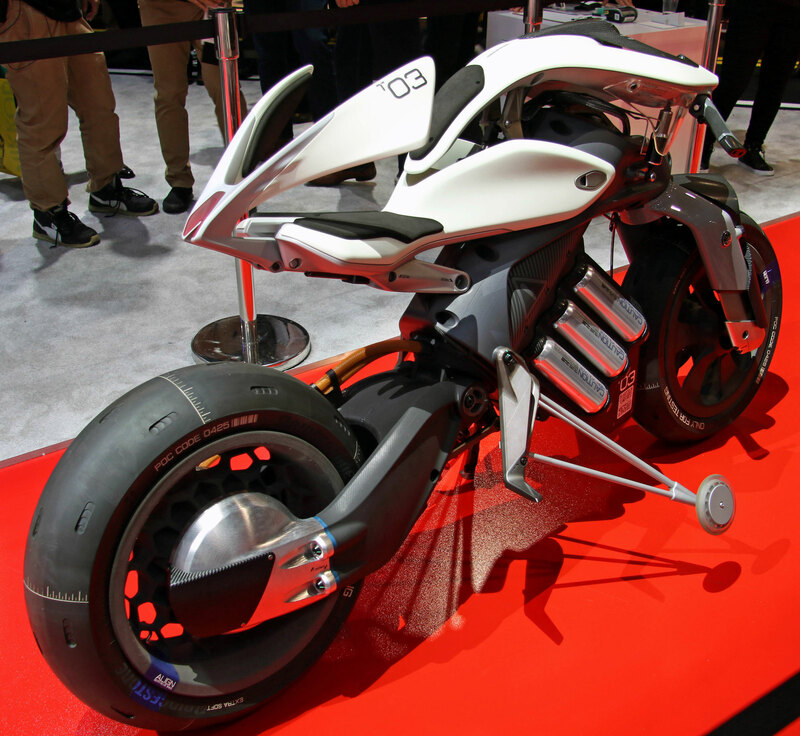 Speaking of cool inventions I was excited to see the Yamaha logo in the distance. 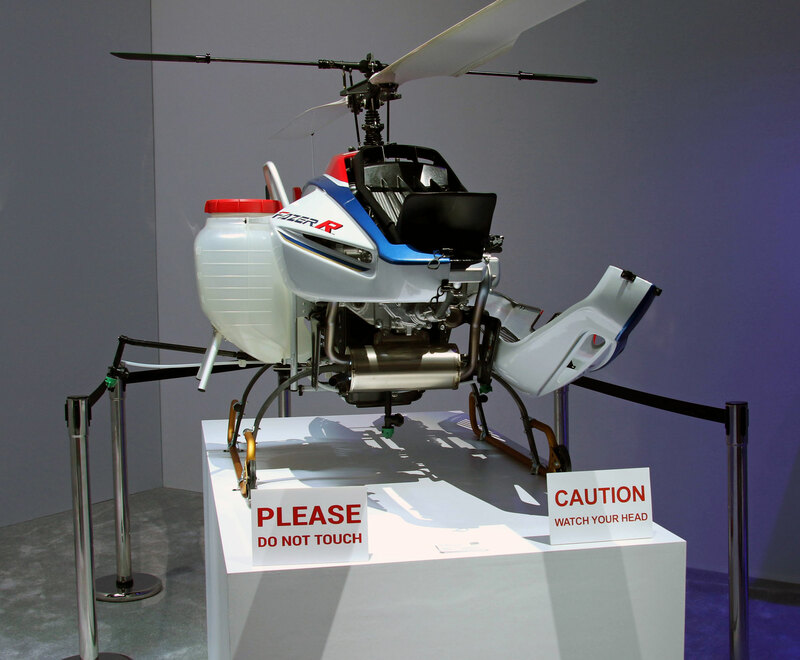 As I got closer, it turns out Yamaha was showing “Moto Droid” which included autonomous self driven (or flown) transports, that included two motorcycles, a helicopter, a more traditional military drone, and a people mover. 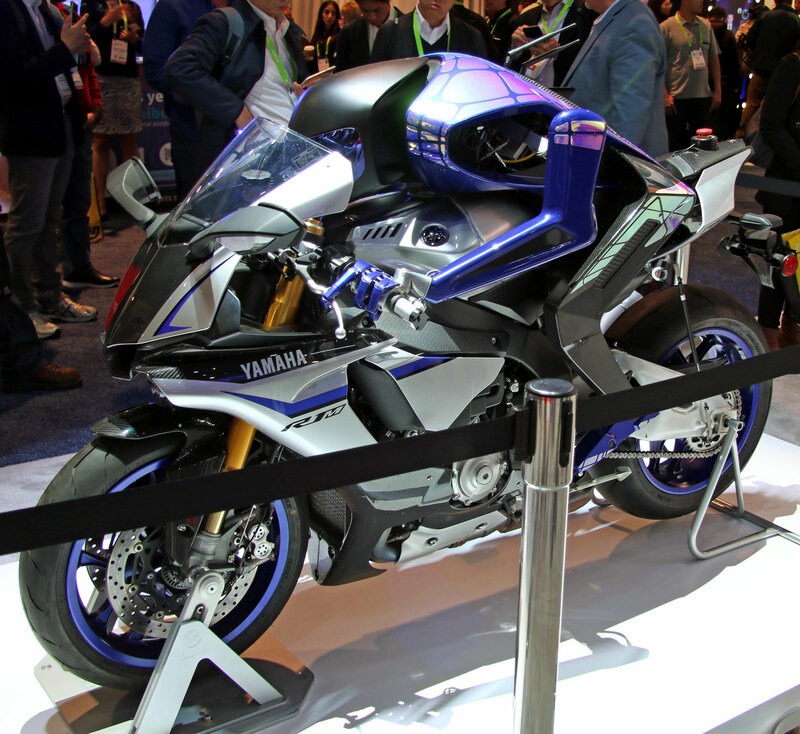 Certainly not what I would expect from Yamaha electronics but they are known for some great motorcycles and sailboats, so why not. These vehicles are definitely amazing innovations. Not far away was Segway. Many of us are familiar with this Danish companies personal transport, but they were also showing their Mini Pro series. This series of personal transports includes three smaller versions of the Segway, all of which had the confidence building handlebars removed, a series of hover boards and an electric skateboard. OK, so my Geekiness is showing, but they were something I always wanted, but my wife has expressed major displeasure in. A short distance away I saw something I never thought I’d see again. OMG is that Atari? Yes it is. This, to me, was a complete waste of time and money. 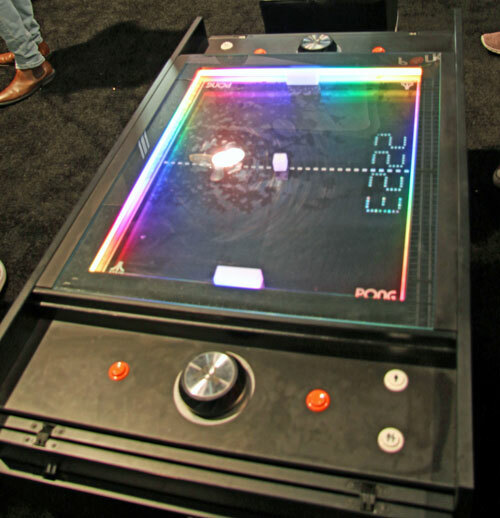 Atari was displaying a coffee table version of their super obsolete PONG game, with a knob on each end that operates a rectangular paddle and a 1″ square target. I am pretty sure there is a free app available that will pretty much do the same thing for your phone or computer, but for a mere $2,799 you can recapture the past and take up a major part of your game room. I am sure there is someone out there willing to cough up the money for this thing, which will probably get about 20 hours of use then sit idle for the next 40 years. I was getting pretty discouraged until I ran across Stampede Distribution (a national A/V distribution company), but alas they were primarily showing multiple drones. After that, the parade of robots continued. They varied from children’s “learning” toys, robotic vacuums to high-end industrial robotics for manufacturing. All this is well and good, but where is the HiFi? I thought I had finally emerged from all the robots and hover boards and into an area of audio-related products. I never would have thought I would be remotely interested in Bluetooth speakers or low end stereo speakers, but when I did finally come across some I actually stopped and took a listen. It was another 30 minutes before I finally came across the Earthquake Sound display booth. OK OK, so I am an old friend with the president and chief design engineer Joseph Sahyoun, but he was showing a pretty impressive in-wall home theater display. 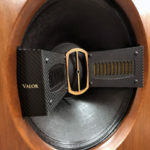 The speakers included: five in-wall 3-way speakers, a pair of their massive in-wall subwoofers, and their Q10B tactile transducer attached to the couch platform. 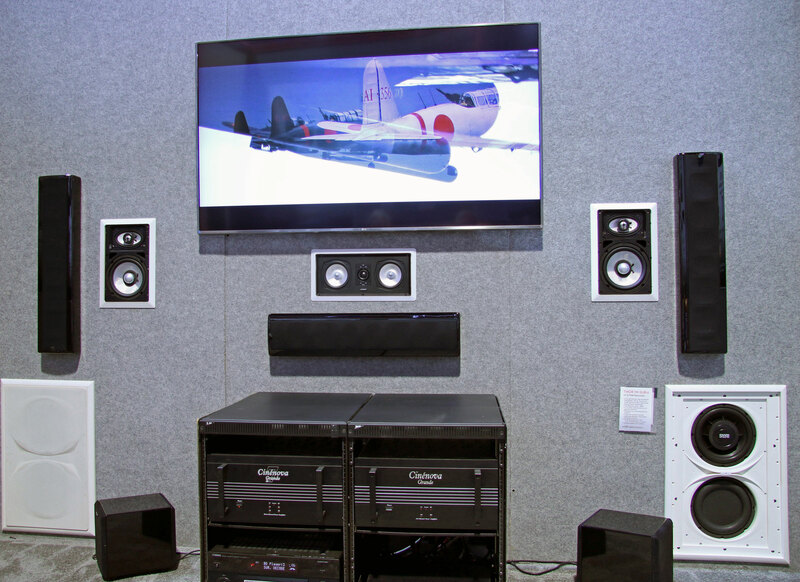 The system was using a Yamaha AV receiver with pre-outputs driving a pair of Earthquake Cinenova multi-channel power amps. 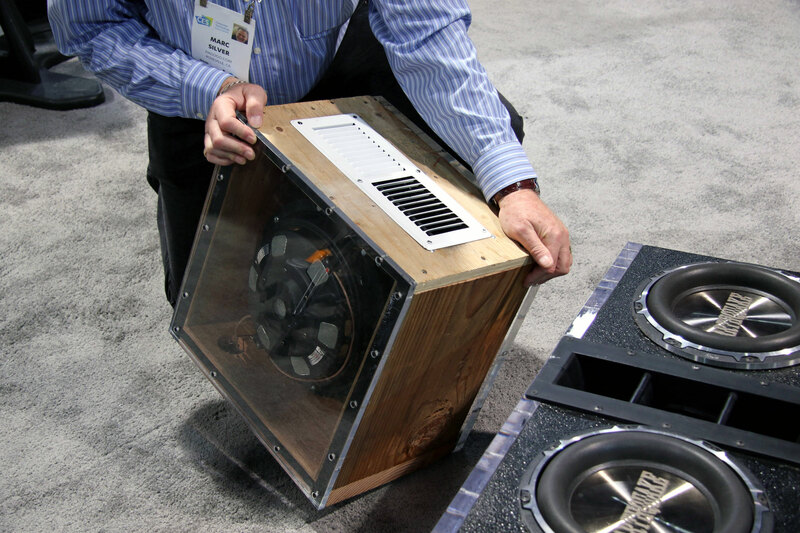 The speaker system cost a mere $2,300, while the amps were $5,500 each. Joseph confided in me that by next year he would demo a 3D motion adapter for the Q10 system under $1,000. The system will track the motion of the movie and be able to move the seating in concert with the movie. Of course, also on display was a large assortment of their renowned subwoofers, speaker systems and car stereo products. Not far away, I ran into Jeff Kahanek of UEI. Most people in the US aren’t familiar with their name, but just about everyone has at least one if not several of Universal Electronics products in their home. Their “One-For-All” remote brand is what most consumers may recognize, but this company got its start producing remotes that could be programmed to control any TV in your home over 30+ years ago. Today, they produce remotes for companies such as Samsung, Sony, Panasonic, Comcast, Tivo, Dish, and many more. That means that 80% of North America uses at least one of their remotes. One thing I didn’t know is that their One-For-All brand is a major manufacturer of TV brackets, antennas and remotes in Europe as well. Since 2014, they have been concentrating their efforts on developing and licensing voice controllable remote protocols. Today, they are projected to produce over 80 million devices worldwide. Not bad for a company you may have never heard of. 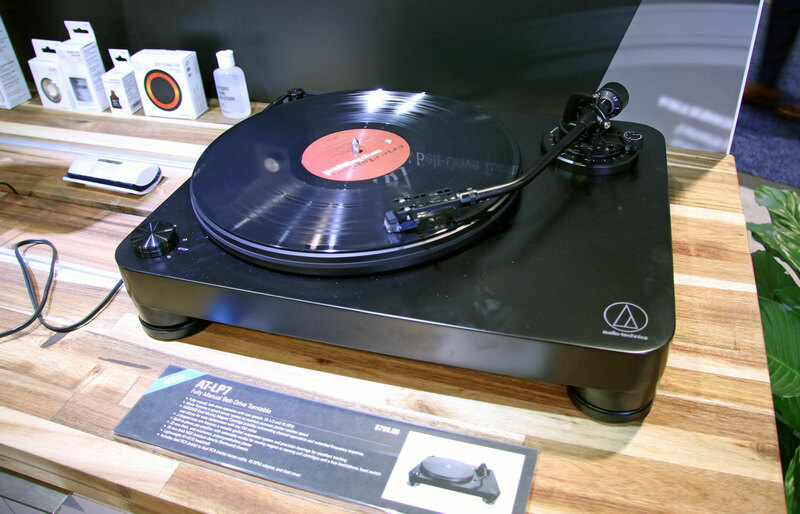 Last year, Audio Technica introduced their ART1000 direct power moving coil cartridge. To me, this was one of those leaps in technology that actually is demonstrably better. This year, they were updating the rest of their traditional line of moving magnet cartridges. 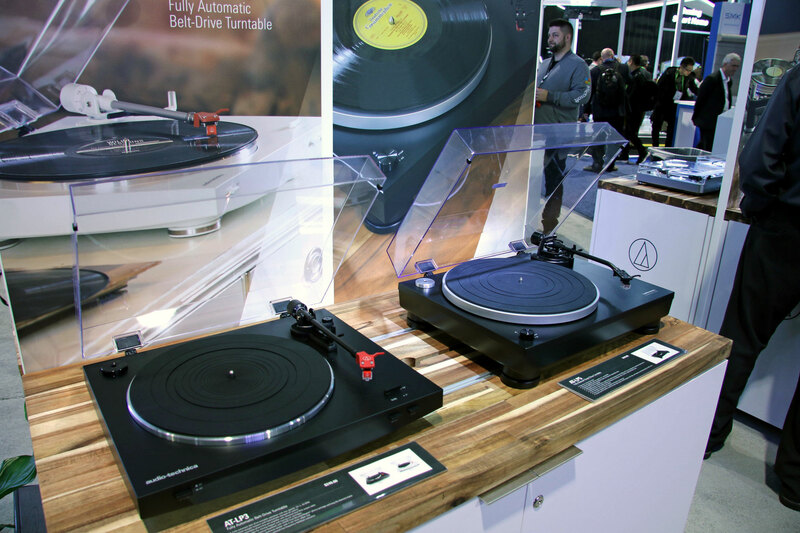 But the item that caught my eye was their new AT-LP7 belt-drive turntable, at $799. 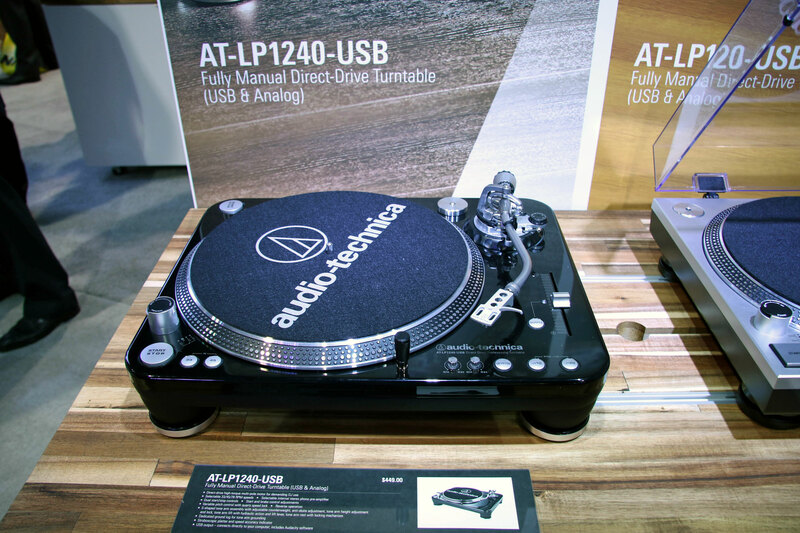 It uses a variant of the arm off their AT-LP1240 with a new J-shaped arm mounted. The motor is an opto-coupled DC design using neoprene decoupling. The LP7 is the first really nice belt-drive table I have seen from AT. It looks competitive for the price. I look forward to the opportunity to run one through its paces and generate a review and let you know what I find. Beyer Dynamic was introducing what they call “Sound personalization by Mini” Headphones. I listened to the Aentho ($449) which uses an adaptive app to optimize the phones’ equalization to the owner’s hearing. Their Xelinto ear buds are not yet available in the States, but are selling in Europe for 1,200 Euros. If I was investing that much in a headphone, I don’t think they would be ear buds. The phone I liked for the money was their DT-240pro at a mere $99. They were both comfortable and good sounding. Flat Screen TVs dominated the central hall. I was amazed by the shear number of manufacturers of 4K LED and OLED ultra thin TVs on display. Even those brands not commonly seen here in the US, like TCL, Skyworth, Chang Hong and Konka, all had great images with excellent brightness, clarity and detail. 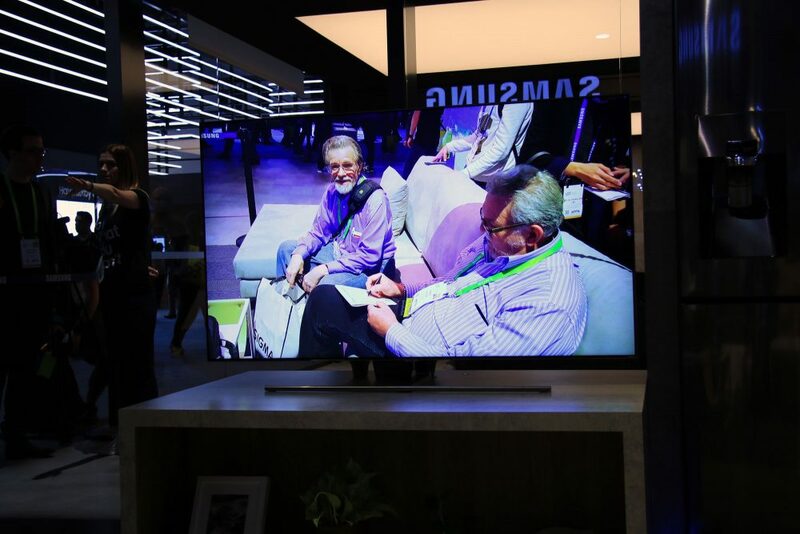 The highlight for me was Samsung’s 146-inch. Yes I said 146″, “The Wall” which is over a 12-foot diagonal. Or to be clear, that’s a TV that is over 10 feet wide and almost 6 feet tall. That is about as large a TV that can be installed in a home with a normal 8′ wall height. Samsung calls it Micro LED Screen. 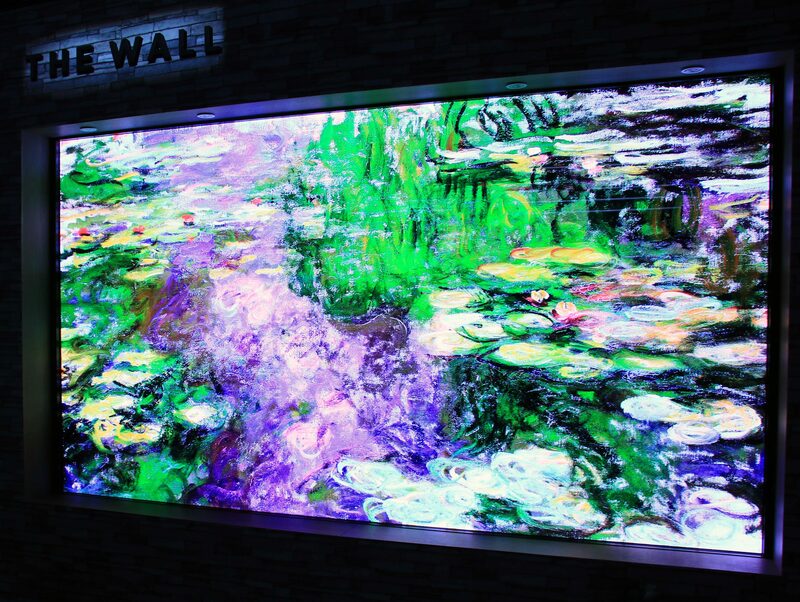 Micro LED uses an array of millions of individual, tiny LEDs to create the image and is similar to their Cinema Screen technology they build for movie theaters and Concert venues. Samsung wasn’t releasing any pricing, but based on historical huge TV introductions and price reductions I have witnessed over the years, I would expect it to hit the $100k mark, so don’t expect to see it at your local Wal-Mart or Best Buy when they release it later this year. One of the Samsung representatives did tell me the technology is expandable and to expect future TVs to be even larger.